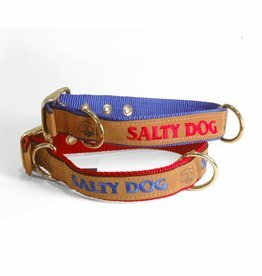 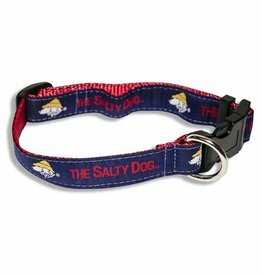 This nylon webbing collar has Salty Dog embroidered on the face with a plastic buckle and adjustable size. 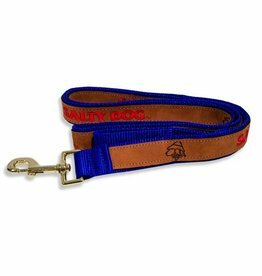 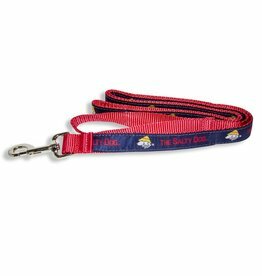 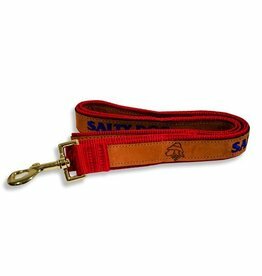 This nylon webbing leash has Salty Dog embroidered on the face with a metal clasp and loop handle. 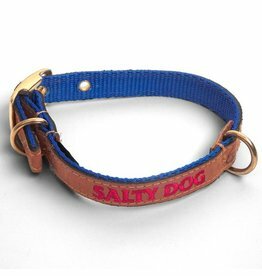 This nylon webbing collar has leather accents and Salty Dog embroidered on the face with a brass buckle and grommets.